As one of the big PS4 titles to release in the early part of next year, the upcoming Days Gone is setting players up for a unique experience that mixes action, stealth, and an in-depth open world to explore, with a new, major piece of the game’s art revealed by its developer, Bend Studio. 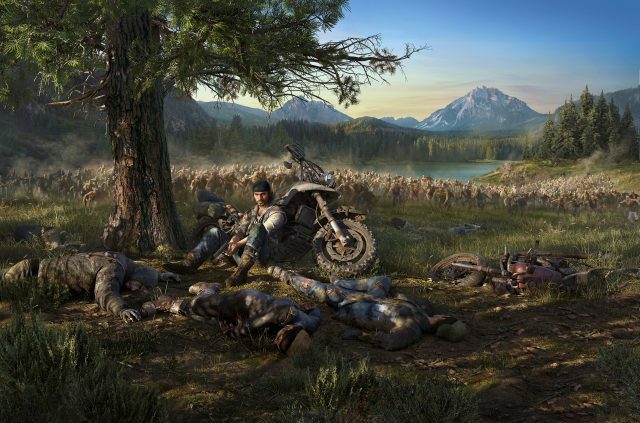 Bend Studio has released the official key art for Days Gone over on the studio’s Twitter page, with the key art itself showing the main protagonist, Deacon St. John, and his motorcycle in the idyllic Pacific Northwest setting that the game takes place in, while in the background are the lingering hordes of Freakers that he’ll have to endure and survive against. 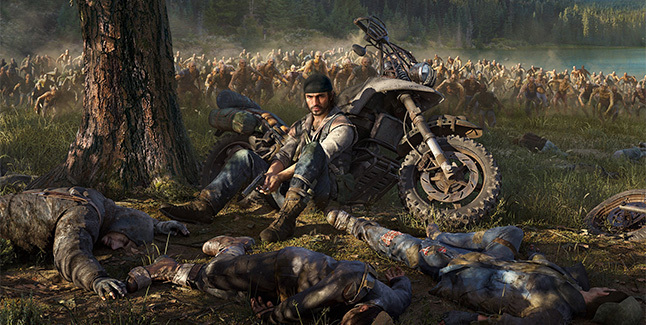 First revealed at E3 2016, Days Gone has been in development for the past several years at Bend Studio and most recently saw a trailer with new footage during Sony’s LineUp Tour pre-TGS event. Previously the game was targeting a release sometime later this year, but earlier in the year was pushed back to a release in the beginning of 2019. Days Gone will release exclusively for PS4 on February 22nd, 2019.